There are advantages to floating in the middle of the sea. In this blissful state of isolation a culture may grow and mature free from the infection of outside influences. In such a culture, on the island of Japan, the art of Kabuki theater developed and flourished for centuries, independent of the theatrical traditions of Western civilization. Kabuki offers a rich heritage of unique, nonrealistic approaches to theater which inspired the fourth Stephen Sondheim – Hal Prince collaboration, Pacific Overtures (1976). Based on a script by John Weidman, Pacific Overtures tells the story of Commodore Matthew Perry’s 1853 expedition to Japan, which had been closed to foreigners for centuries. Prior to the arrival of the Americans, “The realities remain remote” for the Japanese. Great events of world history go unnoticed: “Kings are burning somewhere, Wheels are turning somewhere, Trains are being run, Wars are being won, Things are being done Somewhere out there, not here.” But this tranquil existence ends when warships sail into their little world. The show depicts the upheaval of an ancient and revered culture, forced to move into the modern “civilized” world. The story presents this clash of cultures through the lives of two men taken from actual history, Kayama, a samurai who at first shuns but eventually adopts progressive, American ways, and Manjiro, who returns to Japan after being educated in America only to defend the traditional values of his heritage against Western intrusion. Night waters do not break the moon. No foreign ships can break our laws. It follows there can be no ships. They must be an illusion. But the American “reality” will not fade away so easily. Kayama receives a dubious promotion with orders to banish the ships from the harbor. When he learns that “Americans speak only to great men,” Kayama believes he can fool them by dressing Manjiro as a dignitary: “How can barbarians know who is important and who is not? They would assume that anyone dressed in a Councilor’s robes … ” However, the Western invaders are not impressed with this illusion of power, and threaten with the actual power of their guns. Ultimately, when the Japanese concede that they cannot avoid this meeting, they invent another illusion, covering the ground with tatami mats, so that when the Americans leave, they can burn the mats and no foreigners will have set foot on their sacred soil. After the official visit, the Reciter boasts, “Once again all was has it had been. The barbarian threat had been forever removed,” a statement immediately contradicted by Admiral Perry’s triumphant performance of the traditional Japanese lion dance, combined with an American cakewalk. Western reality is here to stay. A highly unusual subject for an American musical inspired an equally unusual approach. Hal Prince suggested to John Weidman that he write his play from the viewpoint of the invaded rather than the invaders. Sondheim explained, “What we’ve done is to posit in our heads a mythical Japanese playwright who has come to New York and who sees a couple of Broadway shows. He then goes back home and writes a musical about Commodore Perry’s visit to Japan. Now I don’t mean that we actually state that, you understand. It’s just the premise we keep in our heads to give us the tone and style of the show” (Hirschhorn 1). Throughout the musical we view the events through Japanese eyes. For instance, the warship appears on stage unfolding like a giant Japanese kite. The Americans speak in the broken pidgin English usually assigned to stereotypical foreigners. Admiral Perry appears dressed as a lion demon with flowing white mane. The challenge was to create a western form of entertainment as seen through an eastern perspective. “The lyrics are very different from anything else I’ve ever done.” Sondheim said. “They’d have to be, because the characters in the show are peasants, samurai and fishermen, and not New York urban sophisticates” (Hirschhorn 5). Following the adage, “When in Japan, do as the Japanese do,” in this show Sondheim controls his penchant for word games and adopts a lyrical simplicity that resembles the restraint and subtlety of Japanese art. Instead of the usual verbal fireworks, his lyrics are unadorned narrations told from the perspective of common folk. Adams describes this stylistic alteration: “The statements are direct, the rhymes simple, the attitude rendered without the ambiguity that marks much of Sondheim’s work; there is a dignity of expression and a conviction as well” (Adams 199). The word falls, the heart cries. The heart knows the word’s disguise. I shall expect you then at evening. The leaf shakes, the wings rise. The song stops, the bird flies. The word stops, the heart dies. The wind counts the lost good byes. And looked out to sea. The lines are unrhymed, for this is no educated man with a clever vocabulary. The poetry of the lyric is produced by its stark intensity. His ignorance is demonstrated further by his inability to describe what he has seen. He superstitiously thinks Perry’s ships are “Four Black Dragons! Spitting fire!” and his terrified mind interprets the vision as apocalyptic: “And the earth trembled, and the sky cracked, and I thought it was the end of the world.” Next a thief steps out to relate what he saw during the night’s plundering: “And there came . . . Rising from the sea — Four volcanoes spitting fire.” Instead of creating a contradiction, these images impress upon the audience the indescribable terror of this situation for these simple people. The feelings they experience provide a better understanding of what actually happened on that day than any objective historical account. Even in the midst of heightening drama, there is time to appreciate beauty; in like manner a few moments earlier the Reciter interjects a moral about caring for the aged. The Japanese do not hesitate to break the intensity of a climactic scene to insert such commentary. Ernst explains this attitude: “The audience comes to the Kabuki not for a sustained comment on life, either tragic or comic, nor to witness the creation of a complex dramatic structure in time. It comes to the theater to see a succession of striking images. . . the audience does not appreciate the performance of a play; it appreciates the moment” (76). The song concludes with people running off in all directions as the American flagship arrives, looking in truth like a giant dragon. By the magic of Sondheim’s powerful but simple lyrics the audience has also discovered the other perspective; it has come to witness these events through Oriental eyes. Writing a Japanese musical means more than sounding a gong after each number. 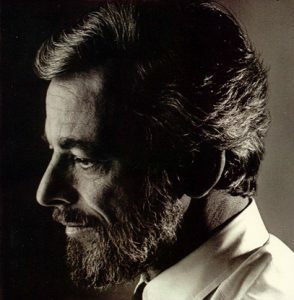 For Sondheim the challenge was to create a synthesis of Oriental musical components and his own Western style. This task was far removed from the period pieces of Follies (1971) because Japanese music has a completely different tonal and structural basis. The entire score did not have to sound Japanese because, to match the theme of gradual Westernization of the East, Sondheim wanted the music to move closer to a Broadway sound as the story progressed (Sondheim “Musical Theater” 10). However, developing the feel of the Orient in the earlier numbers took considerable research and creative intuition. Japanese music is based on a different musical alphabet. Whereas Western music developed from the seven-tone scale of Greek culture, Oriental, Indian, and African music never evolved beyond five tones. This pentatonic scale corresponds to our diatonic scale much as the black keys on a piano do to the white: the major third and seventh intervals are missing. Another distinguishing characteristic of Japanese music is that it does not use harmony as defined by the West. The tension and release created by harmony that causes the music to progress in Western composition is replaced in Kabuki music by groups of instruments playing against one another. The main group is composed of a string instrument called the shamisen and various drums. The secondary group, borrowed from the Noh drama and considered as a unit, is the Noh flute (shakuhachi) and drum. The Noh instruments play independent musical lines, related neither rhythmically nor tonally to the shamisen melody line. These conflicting sounds produce a delicate texture vaguely comparable to our concept of harmony (Malm 207). Sondheim was hesitant to abandon Western harmony altogether and yet did not want to despoil the Eastern touch by its intrusion. To blend such diametrical musical traditions was a dilemma until he recognized a similarity between Japanese music and that of the Spanish composer Manuel De Falla: “I know De Falla’s music, so I just started to imitate him. I took the pentatonic scale and bunched the chords together until they resembled that terrific Spanish guitar sound. And then I was able to relate to it, because suddenly it had a Western feeling and at the same time an Eastern feeling” (Sondheim 10). In Kabuki the primary source of this musical narration (the chobo) is from an onstage ensemble usually composed of a shamisen player and a narrator-singer. The chobooriginated from the puppet theater where the story is almost entirely related by the narrator. The actor is the primary storyteller in Kabuki, but the chobo ensemble still provides much vital information about the play. In some ways the ensemble functions as a Greek chorus, setting the scene, commenting and moralizing on the action, establishing a reference point for the audience, but otherwise the two are dissimilar. The performers of the chobo are set apart spatially and aesthetically and do not enter into the action of the play as the Greek chorus frequently does. Only musically and vocally do they participate in the drama (Ernst 117). In Pacific Overtures the Reciter fulfills the part of narrator-singer; he begins the opening number, introduces characters, interrupts with explanations and sayings of wisdom, and punctuates the drama with intonations of exclamation, doubt, surprise, and grief. Unlike in the Kabuki he also steps into certain roles when needed. In a Kabuki performance there is great freedom of movement between the actor’s voice, the narrator’s voice and the shamisen. Ernst explains, “The narrator, like theshamisen, can take over the weeping or the laughing of the actor without pause, and the actor similarly begins with no break between his speech and that of the narrator” (119). The shamisen, resembling the range and harsh, plucking consonants of the human voice, is an equal element in this triad of expression, helping to create an aural continuum. In Pacific Overtures there are several parallels to this technique. The Reciter speaks for Kayama in “A Bowler Hat,” freeing him to make necessary changes in make-up and costume as time passes, and very movingly weeps while Kayama stands silent over the body of his dead wife. The Reciter also sings for Abe in “Please Hello” when he is too dumbfounded by foreign emissaries to reply. The use of the shamisen is similar to “There is No Other Way,” where the shakuhachi flute picks up the melodic line from the singer in a mournful echo. Besides the chobo in Kabuki, incidental music is provided by the geza, a sound effects room usually on stage but hidden by a bamboo curtain. These musicians heighten dramatic scenes by providing a musical atmosphere for the events on stage. An ominous presence such as a demon or a murderer is accompanied by the rapid beating of the o-daiko, the principal geza drum. More peaceful settings bring singing birds and chirping insects produced on the shakuhachi and shamisen. These musicians do not attempt to imitate exact sounds such as wind or rain but create “a symbolization of the idea of wind and rain.” Sometimes these sounds suggest only the quality of these natural elements. In addition, many musical effects have seemingly no aural connection to a natural sound at all. There is a great use of traditional melodic patterns that over the years have gained emotional connotations. MaIm notes, “A large part of the appreciation of geza music depends on previous knowledge of the music patterns used. In this respect it is similar to the leitmotiv technique of the Wagnerian operas” (Malm 223). Although Pacific Overtures does not use a geza room, the orchestra functions in much the same way. During “Poems” the mention of rain brings the soft sound of tiny bells. Wood blocks indicate the clattering of hooves in “Four Black Dragons.” Commodore Perry, dressed as the traditional lion demon with flowing white mane, has the unearthly voice of a trombone. In “Chrysanthemum Tea” as a sign that the warships are still present, the low, rumbling ostinato heard in “Four Black Dragons” recurs in leitmotif fashion. However, amidst these Oriental splendors were many scenes where staging effects were only suggested. To represent the ships’ presence in “Chrysanthemum Tea,” a screen with the dragon’s eyes was revealed. Distance between locales was indicated by a bell heard far away and then very loudly (P. 24) or was totally ignored as an actor would step from one area to another. There were moments when the stage was completely bare, focusing attention directly on the actor. As in the Kabuki, effects were used when required and removed when not. There is a delicate balance in the Kabuki between the actor’s relationship with the spectator and the deliberate separation he establishes by his theatricality. To help create this aesthetic distance, stage assistants (kurombo) are always on hand to aid in his artistic expression. These men, dressed in black and so considered invisible, deliver props to the actor and remove them when he is done. Significant changes in costume and make-up frequently occur on stage, and the kurombo assist in these. This effect is not mere spectacle but is representative of the Japanese philosophy that change is the only constant in life. In Pacific Overtures the transformation of the emperor puppet into the real emperor Meiji dramatically portrays his taking the reins of power from the southern lords. In “A Bowler Hat” the kurombo produce the effect of many years passing by altering Kayama’s make-up and remodeling his office. All these changes take place in full view of the audience. Although perhaps distracting to the uninitiated, in Japan these kurombo are not thought of as intrusions. Their presence is appreciated, for they free the actor from tedious responsibilities. Instead of upsetting the design, as a careless stagehand might do on Broadway, these men have an important role in creating it. In addition, the presence of non-actors on stage intensifies the theatricality, the special reality, of the actor. The effect is similar in the Bunraku puppet theater where the manipulators are always visible behind their puppets, providing a contrasting background to set them apart as art (Ernst 11). Another very prominent feature of Kabuki and Pacific Overtures that is a constant reminder of their presentationalism is the fact that male actors perform the female roles. This tradition began when women were banned from the Kabuki to halt the rise of prostitution, for which the theater was a front. Over the years the onnagata has become a highly respected artist who does not impersonate a woman but creates the symbolic essence of femininity. Pronko writes, “He stands as a profound symbol of the mystery of metamorphosis, which is the mystery of the theater. He seems to join two totally different worlds, not only in his double identity as actor and character, but in his dual role of man-woman” (196). In a sense the transformation of the onnagata resembles the relationship of Pacific Overtures to the Kabuki. Sondheim and Prince did not create a mere imitation of the Japanese theater but adapted certain techniques to capture the spirit of the culture. Critics who felt negatively about the “corruptions” of Japanese art, such as haiku used for humor, did not grasp the purpose of the show — to design a truly Western form of theater with the same essential qualities that make Kabuki one of the world’s most respected theaters. Adams, Michael. “The Lyrics of Stephen Sondheim: Form and Function.” Ph. D. dissertation, Northwestern University, 1980. Adler, Thomas P. “The Musical Dramas of Stephen Sondheim.” Journal of Popular Culture 12 (3/1978):513-35. Ernst, Earle. The Kabuki Theater. Oxford UP, 1956. Gottfried, Martin. “Overtures: a Remarkable Work of Theater Art.” New York Post, January 12, 1976. Hirschhorn, Clive. “Will Sondheim Succeed in being Genuinely Japanese?” New York Times January 4, 1976. Kirby, E. T. ed. Total Theater: A Critical Anthology. Dutton, 1969. Malm, William P. Japanese Music and Musical Instruments. Tuttle, 1959. Pronko, Leonard C. Theater East and West: Perspectives toward a Total Theater. U California P, 1967.